Am I the only one who gets a pang when hearing cicadas at night? It makes me sad because it signals late August meaning the end of summer is near. Back when I went to camp, first in Vermont and then in Maine, by August the mornings and evenings were cool enough to make long pants and sweaters mandatory. This summer in Vermont has been so hot, many of us are still wearing shorts and tee-shirts. Yesterday, very close to the anniversary of last year’s Hurricane Irene, brought the first cool morning. We haven’t had enough rain but it’s been a veritable flood compared to Kansas, Nebraska and other areas. Tomatoes are in full swing, even my small crop, and local zucchini, corn, cucumbers and eggplant are plentiful. The other day we bought a small sculpture from a local artist who, upon learning that our garden is flowers only, pressed several zucchini on us. 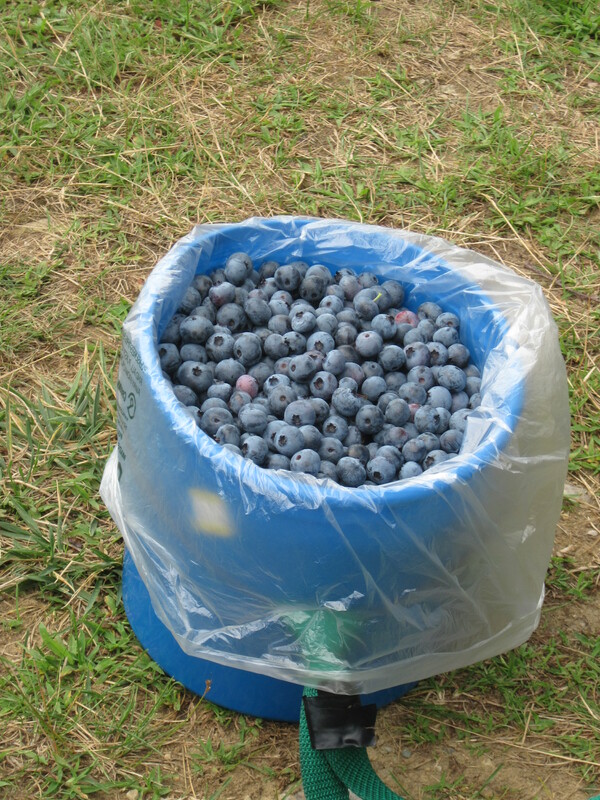 My freezer overflows with blueberries, the result of a trip to a nearby “Pick Your Own” farm that provides a plastic-bag lined bucket with a strap that goes around the neck leaving both hands free to pluck. These are high bush blueberries so picking is easy. I came home with six pounds from no more than an hours’ effort. 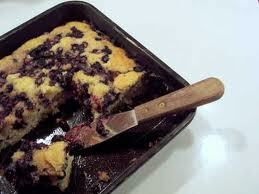 This recipe for blueberry buckle (very like cobbler) comes from a friend who is an excellent cook and baker. The hot water bit may strike you as weird but trust me, it works. Mix sugar and butter. Sift dry ingredients. Add to dry ingredients to butter mixture alternating with milk. Beat a minute or two and then beat in egg. 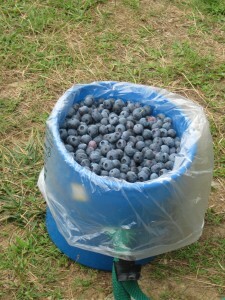 Put 2 –3 cups berries in baking dish (I use a 9” x 9” one). Squeeze ½ lemon over berries. Spread batter over berries (don’t worry if some sort of pop through). Mix ½- ¾ c. sugar, 1 tsp. cinnamon w. 1 T. corn starch and ¼ tsp salt and sprinkle over batter. Pour 1 cup boiling water over all and do not fear—it will not emerge a soggy mess. 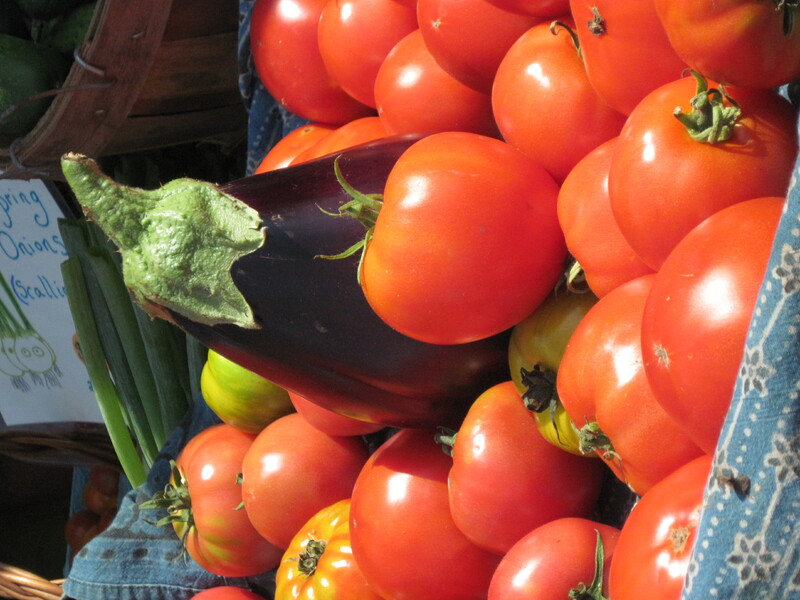 This entry was posted in Uncategorized and tagged blueberry, Maine, moon, tomato, Vermont. Bookmark the permalink. No, Mari, you’re not the only one who gets pangs about cicadas. I get nostalgic for summers in Connecticut when I hear cicadas anywhere nowadays. I used to love listening to them in Westport and would sleep very well despite the decibel level. Since for me summer lasts till September 21, cicadas are a sound of summer with the end still quite far off. See, it’s all a matter of perspective. 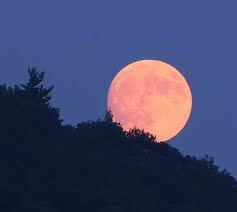 Enjoy the remainder of the summer of 2012 to the fullest!!! Enjoying it enormously! Briefly in NY before going to visit friends in Toronto/Stratford Shakespeare Festival (tho not seeing the Bard.) Miss you–come visit one of these days. How are things?